Tropical elegance mixed with kitschy retro Caribbean elements create the vibe of this fun suite! The postcard save the date was printed with a map of Turks and Caicos and stamped with gold foil. 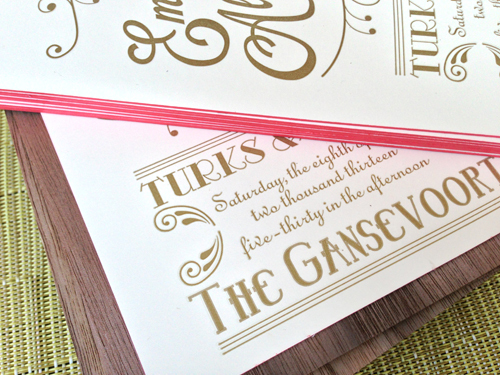 The invitation was printed with metallic gold and backed with walnut veneer. 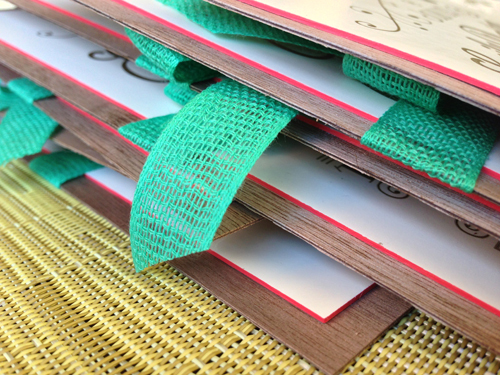 A bright green loose weave cotton ribbon held the other cards in place behind the main invitation. 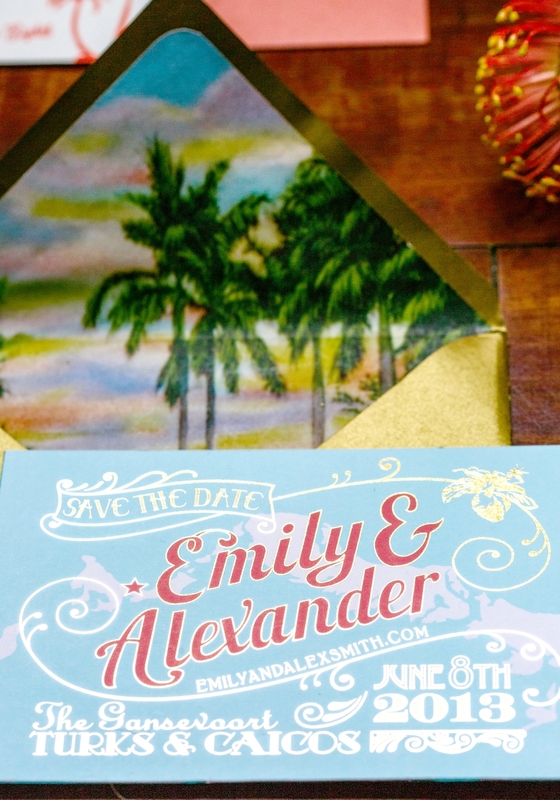 The metallic gold envelope was lined with a vintage tropical sunset scene lending just a wink of tropical kitsch. The edges of the main card were painted in bright pink and adhered to walnut wood veneer. A mad lib reply card was designed in bright bright coral with an accompanying retro style events card in cherry red.